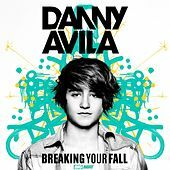 To have achieved what Danny Avila has at the age of 22 is phenomenal enough. To have done it with such integrity and passion make it even more special. With a feisty production sound and a unique DJ style, he is a breath of fresh air in a world where many artists are happy to stick to the same formula. 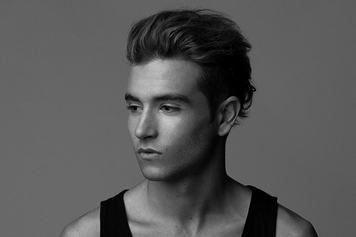 Danny Avila is passionate about music, and it shows. His music has been released on major labels including Interscope, Musical Freedom, Spinnin’ Records and Ultra Music. This year, he made the highest re-entry to the DJ Mag Top100 DJ’s 2017 poll at number 52, a powerful statement of his impact on the scene as of late. In Danny’s eyes, DJ’ing is a form of art, hence the variety of genres from techno to big-room and from tech-house to trap, always finding a way to take people on a journey. This mentality has been a rewarding one to say the least, having achieved what many DJ can only dream of at 22. 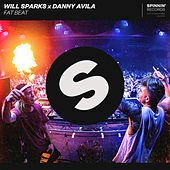 He also counts three compilations to his name: ‘Ministry of Sound presents: Danny Avila Live’, Space Ibiza’s ‘Ibiza Calling’ and DJ Mag UK Danny Avila’s Big Room Mix. 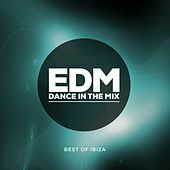 Danny was the youngest artist to ever make the cover mount CD for DJ Mag UK. 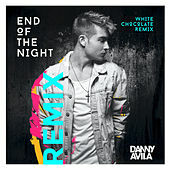 To top of his extremely long list of musical achievements, Danny Avila has collaborated with world-renowned fashion brand tigha, who approached him due to his extravagant style. After starting DJing in his native Marbella at 12 and producing from the age of 13, Danny moved to Madrid at just 14 to cut his teeth in the city’s club scene, with the prodigious talent scoring gigs before he was legally allowed into clubs. “I knew it was going to be hard,” he says “but there was just nowhere for me to get any real experience playing out in Marbella and I’ve never let my age stop me doing anything. My older brother spoke to local promoters for me and that’s how I started getting my very first gigs. Tiësto soon followed suit, personally requesting Danny to play alongside him at Pacha Ibiza. “Danny can play for 10 hours, he can play different genres and can read the crowd. I see in him how I was when I was his age. He’s a burst of energy!”. It’s this exact mentality that remains an integral part of Danny Avila’s talent. 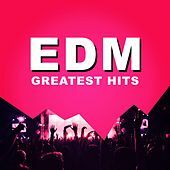 Together with Tiësto, Danny toured across Asia, North America and Europe, and later again alongside Calvin Harris on the ‘Greater Than Tour’ arena series – which sold-out tens of thousands of tickets in a matter of hours. He was also part of a bus tour through the US, during which he played 28 gigs over the course of just 30 days. It’s these mega tours that were the perfect stepping stones for Danny to venture out and start headlining shows for himself, which is validated by the now endless list of top tier performances, including Coachella, Ultra Music Festival, EDC, Electric Zoo, Creamfields, TomorrowWorld, ZoukOut, Parookaville, Mare Nostrum and Nature One, to LIV Miami and Space New York, and the legendary Life In Colour shows. Not to mention his residency in Las Vegas, making him one of the youngest resident artists ever. 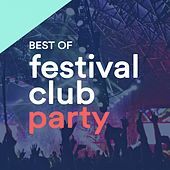 Adding to his list of residencies, Danny performed at Pacha Barcelona over the course of the summer of 2016, introducing his genre-bending MORE concept. With MORE, Danny takes the attendees on a musical journey with no boundaries in genres. MORE stands for multiple genres, seamlessly mixed together as if they were one. The MORE radio show is to this day syndicated with Emirates Airlines on all of their flights. 2016 also saw Danny starting to take on the role of a mentor to the next generation of artists, like Tiësto and Calvin Harris were for him. Danny was the official ambassador and judge for NYDJAY, which was the biggest DJ contest of its sort in Europe. With stops in seven major European cities, the contest really was a first of it’s kind and Danny’s involvement is a testament to his abilities. While NYDJAY was entering it’s final weeks, Danny released his first official track of 2017, a remix for renowned singer Gavin James. 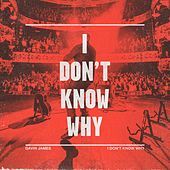 Danny’s remix of I Don’t Know Why immediately started charting and was streamed over six million times within weeks after the release. Following up on this first big success, Danny released a remix for Tiësto’s track On My Way. Oh – and if all that wasn’t enough, he’s not only spearheading the next generation of superstar DJ/producers – he’s also pretty damn prolific at turning the ordinary into the extraordinary, when it comes to anything concerning a board. Verging on pro skate and snowboarder status, Avila also deservedly notched up 2nd place in the Spanish Wakeboard Championships, 7th in the European Wakeboard Championships and 12th in the World Wakeboard Championships – as ever proving that he’s ready to jump, no matter what the medium! While the year kicked off with two of Danny’s biggest release to date, remixes for both Tiësto and Gavin James, amassing over 15 million combined plays, 2017 only got better with time. 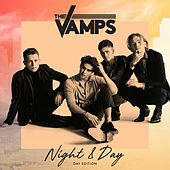 In May, Danny signed his first official record label deal with Sony International as one of their most promising acts and the biggest Spanish act on their roster. 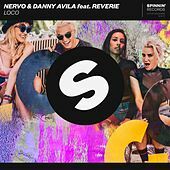 In October, he released ‘Loco’, a power-fuelled collaboration with none other than renowned DJ’s and production duo NERVO, on Spinnin’ Records. With several new releases in the pipeline with the new label and a filled tour schedule it looks like the remainder of 2017 will be one for the books.